The SCE Engineering team has completed a number of successful projects for a variety of private clients, industry partners, contractors, public entities and non-profit agencies throughout the Southwest. SCE’s wide range of transportation engineering services including concept report preparation, safety studies, roadway design and public participation, which they have provided the region for over 35 years. This project included design concept development, hydrologic, geotechnical and environmental analysis, landscape, coordination with the Bureau of Land Management (BLM), and development of plans, specifications and estimates for seven suburban arterial roadways. 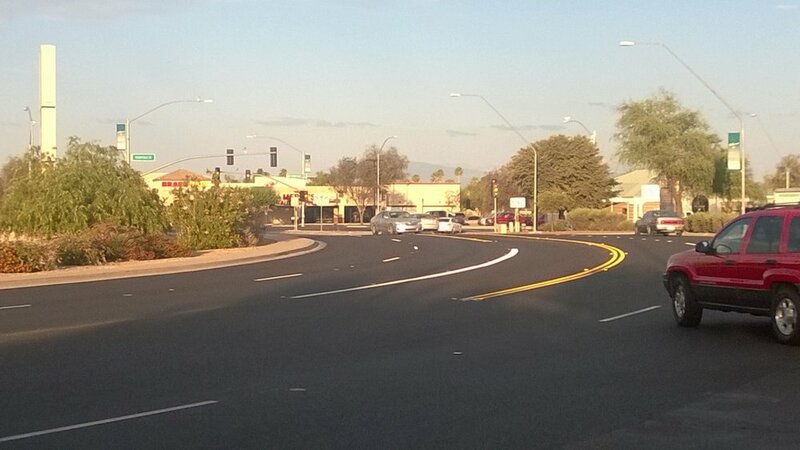 The design approach required meeting the available budget rather than using the Pima County roadway typical construction elements. At Thornton Road, SCE completed the surveying , geotechnical analysis, utility coordination, drainage analysis, pavement analysis, business outreach and preparation of plans, specifications and estimates for this one-mile urban arterial. The roadway is located in an industrial area with heavy truck traffic and localized flooding that impact pavement longevity. The Stadium Drive project included surveying, geotechnical analysis, a drainage memorandum, plans, specifications and estimates for the reconstruction of one mile of urban collector roadway. Post design and construction administration services were also provided. SCE offers geotechnical investigations, pavement design, Mechanically Stabalized Earth (MSE) and soil nail wall analysis and design and Load and Resistance Factor Design (LRFD), with a 30 year track record of success in the region. The Anthem design consisted of soil nail fix with shotcrete facing to ensure the structural soundness of the bridge abutment and thus the entire overpass. By back-calculating the load on the MSE reinforcement and then transforming this load into an equivalent design load for the soil nails SCE was able to obtain compatibility between the two different systems. At Red Mountina Freeway, SCE did geotechnical investigations and recommendations for various structures including three bridges, five retaining walls totaling nearly 4,200 linear feet, a drainage channel paralleling the corridor, as well as pavement design. 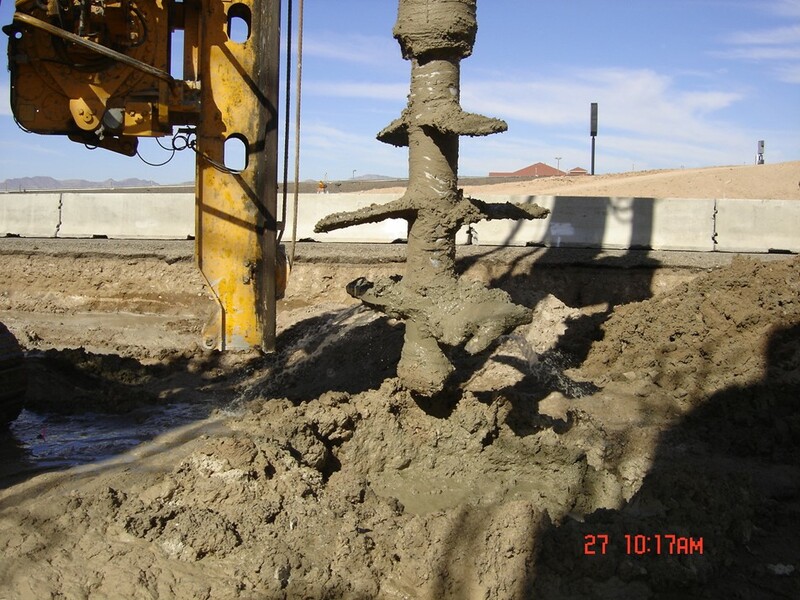 The field investigation program included 116 borings and eight large test pits.